The Collins Family: Avery's 4th birthday! Happy birthday, Avery! You were one of Sophie's favorite new people this summer! And Erica, I've thought about you as school has started. Hope it's going well! Avery's party was so much fun! 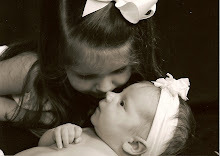 The pic of her and Addison is precious!